Objectives : make an X11/GLX program run natively on Wayland/EGL, with minimal modifications to the code. The Linux world is rapidly migrating from the legacy X11 display protocol and server, to Wayland. There are a lot of reasons why this change is necessary, but it's best watching this conference to understand why X is now left behind. However, there are a few challenges, especially when it comes to OpenGL programs. There a few different OpenGL APIs today (GL1, GL2, GL3, GLES1, GLE2...) ; on the desktop, the most popular has always been GL1/GL2, whereas GLES, by contrast, is mostly used on mobile OSes (Android, iOS...). 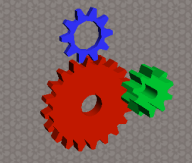 We also need more than pure OpenGL to draw to the screen : a glue for the underlying window system. It's called WGL on Windows, CGL on Mac OS X, and traditionally GLX on Linux/X11. And now, here comes the problem : Wayland doesn't support desktop GL nor GLX. Instead, it only supports GLES with a new binding named EGL. We'd normally be forced to rewrite all our implementation code. But let's see how to deal with this case with minimum effort. One year ago, jwz needed to port xscreensaver to the iPhone. As the iPhone knows GLES and nothing else, he wrote a GL-to-GLES1 wrapper which one can download from various places. I recently needed to port a GLX program under native Wayland ; so I wrote the EGLX wrapper, which remaps GLX calls to EGL-Wayland ones (hence the name ;-) ). 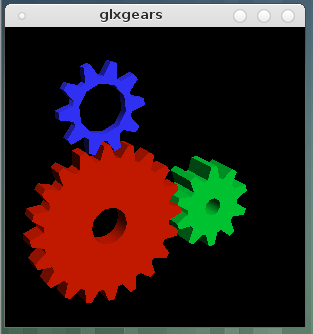 In the EGLX source tree, once you've compiled the library, have a look at the modified version of "examples/glxgears.c". A video a available HERE.